Contact us to find the perfect rental for short term stays in California. We have the fully furnished accommodations you’ve been looking for! Are you in the military? If so we have Special Navy Housing Rates for you. Each single bedroom apartment is designed with a bright, cheery kitchen, convenient dining area, spacious living room, private master bedroom, loads of closet space and lovely bathrooms! Our furniture is top quality too! Every unit is fully furnished, beautifully decorated, quality way above the competition. You’ll love it! Need room for two? Our luxurious two bedroom apartments are also fully furnished with two full size bedrooms furnished with comfortable queen beds, dressers, 2 night stands and 2 lamps. They also are available in Corporate Units that have everything you need to move right in! 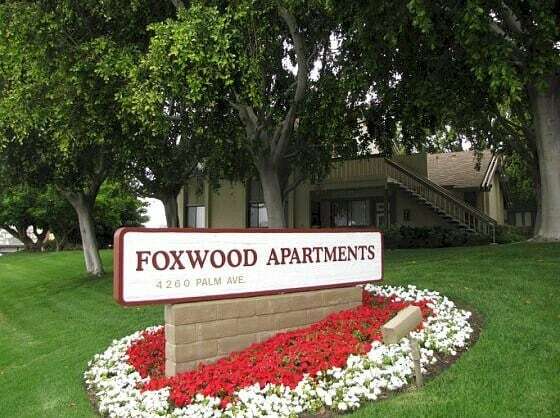 Check out the quiet, unique, country club resort-style setting Foxwood Apartment has to offer! Each apartment is on a lush greenbelt garden park surrounded by shade trees and a year round, heated pool and spa. Perfect for enjoying the beautiful California weather!